In a difficult time for jobseekers, the security industry is an obvious choice to try and find a job, but before you do apply for any security vacancies have a read of this blog. An SIA licence is required if you undertake the licensable activities of a security officer or Door Supervisor It is a criminal offence to undertake the licensable activities of a security guard without an SIA licence. In order to apply for an SIA licence you will first have to undergo security training from an accredited training provider such as Focused Security Training. Once you have passed your course exam you can then apply for your SIA License. The licence application fee is £220 for a three year licence. Please note that not many private security companies will train you and pay for your SIA license. You will need to have your SIA license before applying for any security vacancies. That said at Focused Security Services we still get people applying for jobs without a license – you will not get past first base. If you do have an SIA License make sure your license number and license type is detailed on your CV. Security is an easy job right? WRONG! Today’s security officer needs to be highly trained in physical intervention, first aid, report writing, fire fighting and conflict management. First on scene skills are a prerequisite hidden by your own world class customer service skills. If you have an image of a night watchman in your head or think you can complete your college course whilst being paid as a security officer, think again. You are going to be very busy. You have your SIA License, but still cannot get a security job. Well I guess your CV is not up to scratch then. Far too many applicants appear to just throw any old CV in and hope for the best. It’s simply not good enough and shows to an employer that maybe you are not really that serious about working. Well done and even at this stage you have made it where potentially hundreds of other applicants have not. So why then would you turn up late, scruffy and unprepared for an interview? Actually most applicants do and it lets them down before we have even asked them a single question. As a security officer first impressions are crucial to you being successful at interview stage and in your security job moving forward. The basics are missing and despite hundreds of applications failing we do get some quality people to work with us at Focused Security Services. We will not accept second best or as we say recruit just to fill a gap, put a bum on a seat, as it simply is not fair on the team and our clients. So if you want to work in the security industry ask yourself this. Are You Serious? 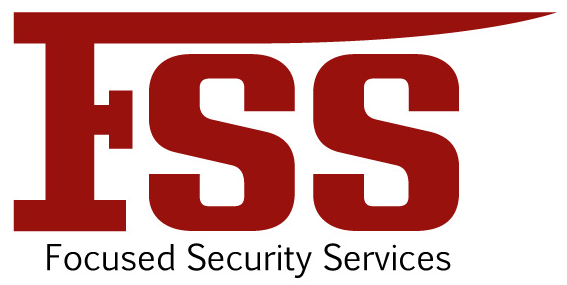 View the latest jobs in security from Focused Security Services Ltd. You can also catch us on Facebook simply search focused security on FB to find our page and give it a like! If you do not have an SIA License, Focused Security Training provides high quality training services in Birmingham. View our latest course dates. What does a Door Supervisor Course involve? Skills for Security works with employers in the private security industry to improve standards of professionalism and access to security training and security qualifications for people employed in private security roles across the UK. Further information can be found on the Skills for Security website. So you have an SIA License and cannot get a job in security, well something is wrong as private security companies are always looking for good people. Can we help you find a security job?